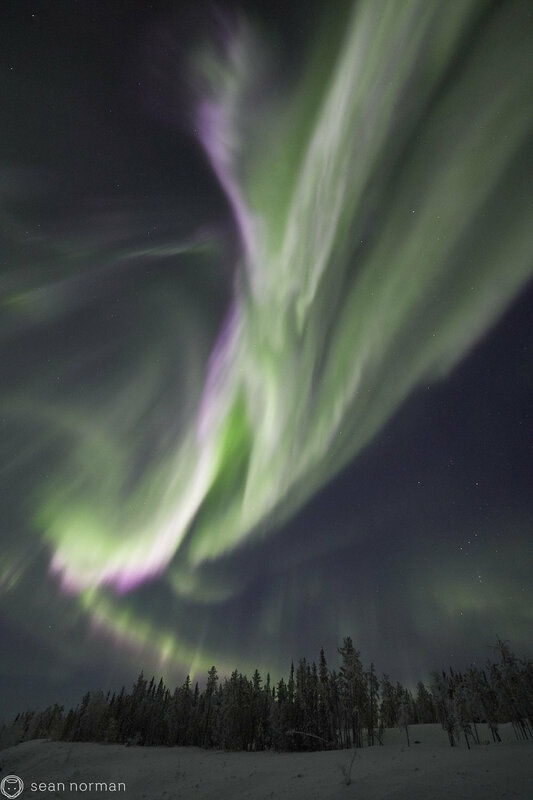 In the end wake of a high speed wind stream, we were ever hopeful to still witness some of these disturbances in the magnetic field. 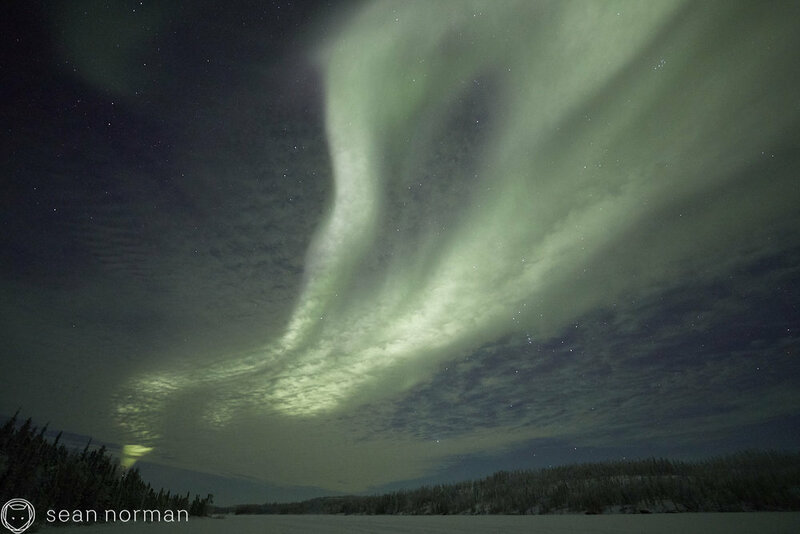 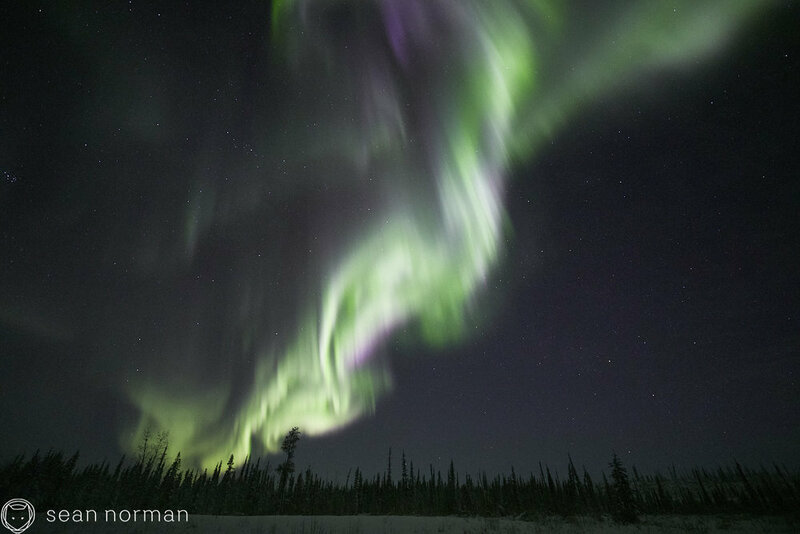 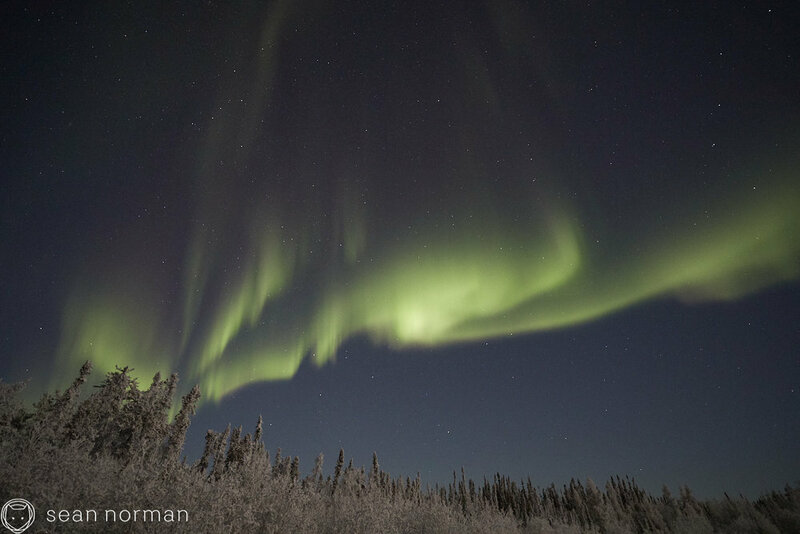 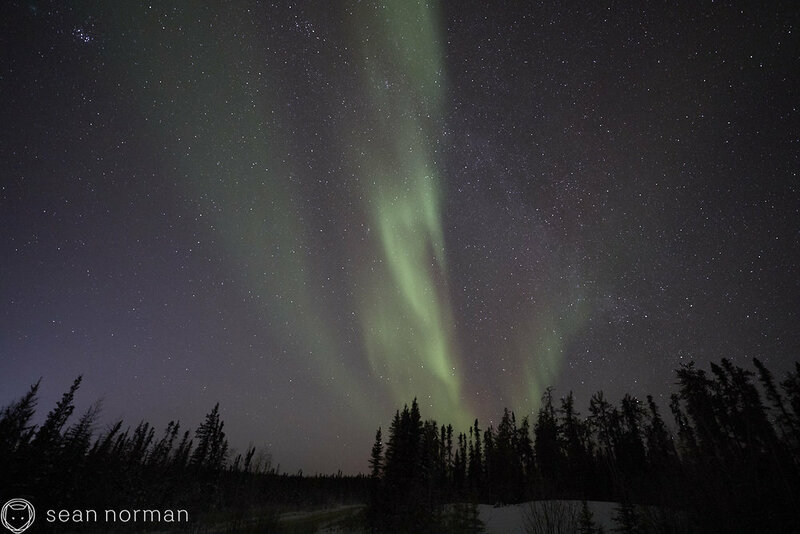 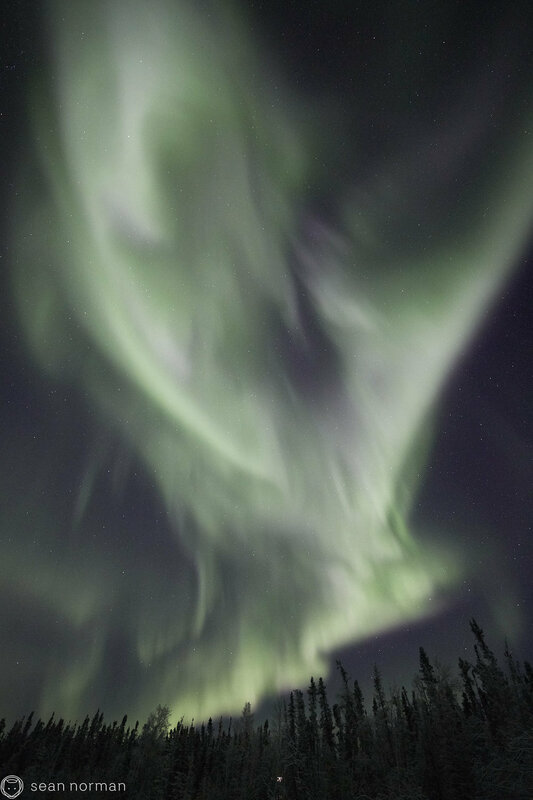 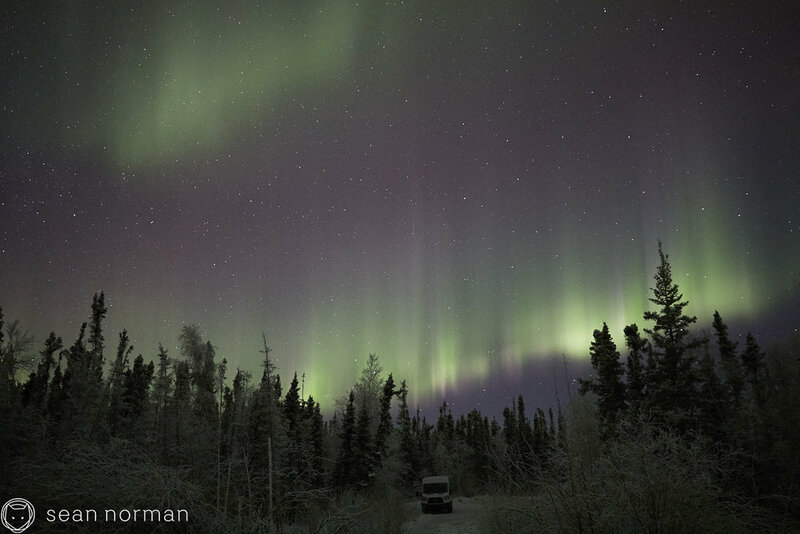 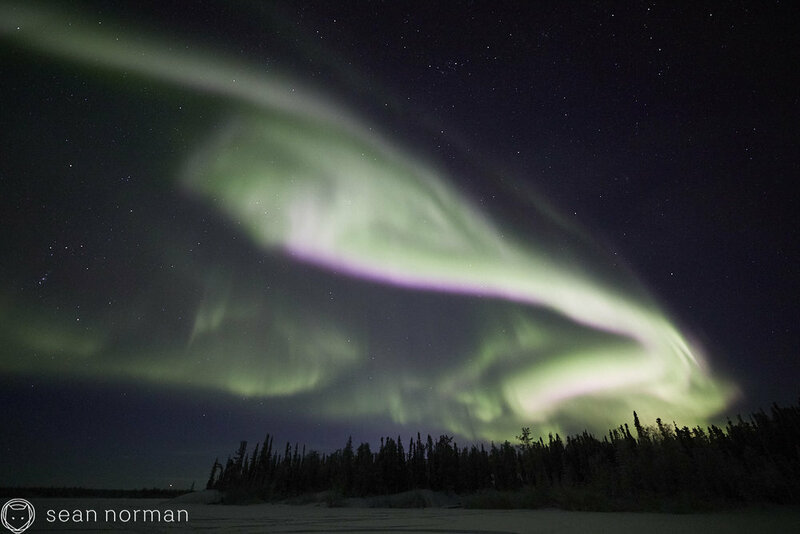 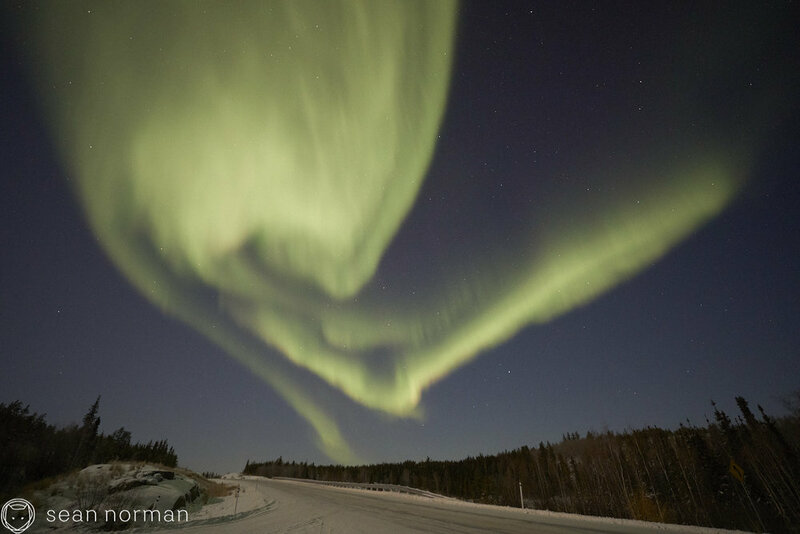 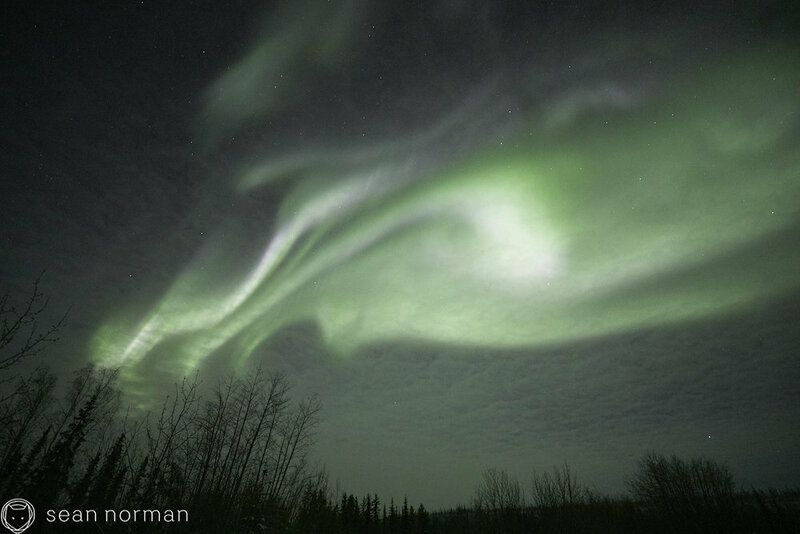 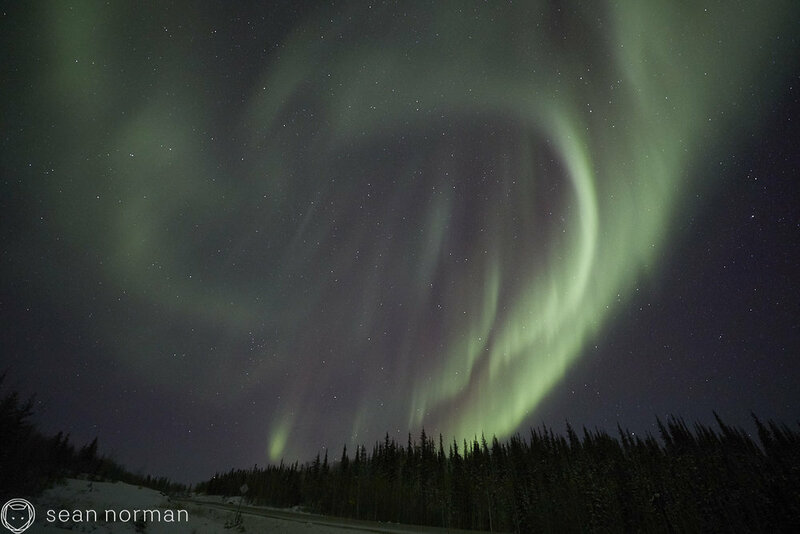 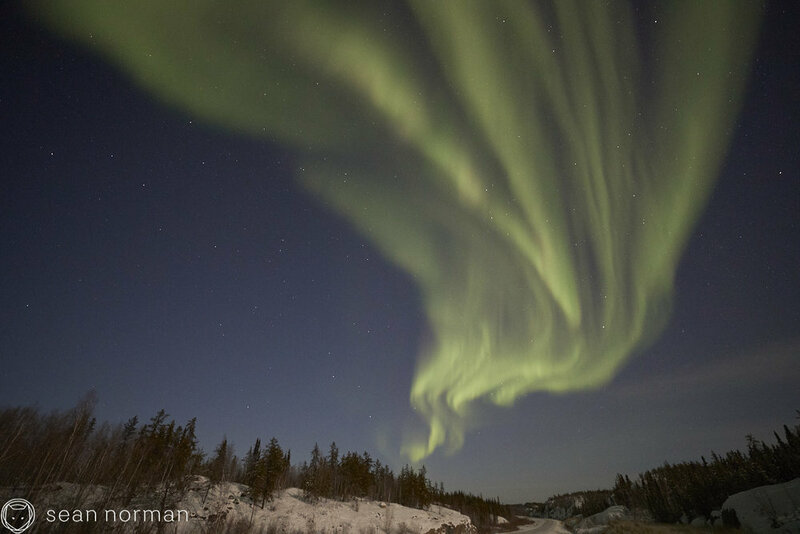 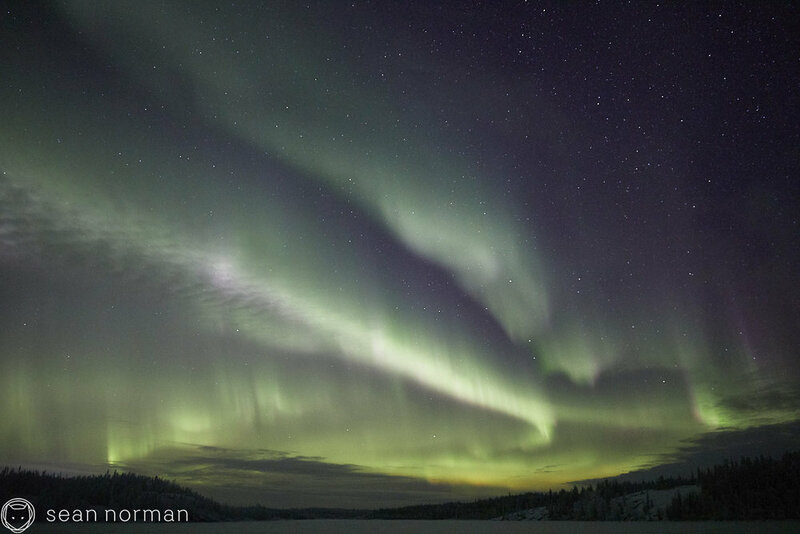 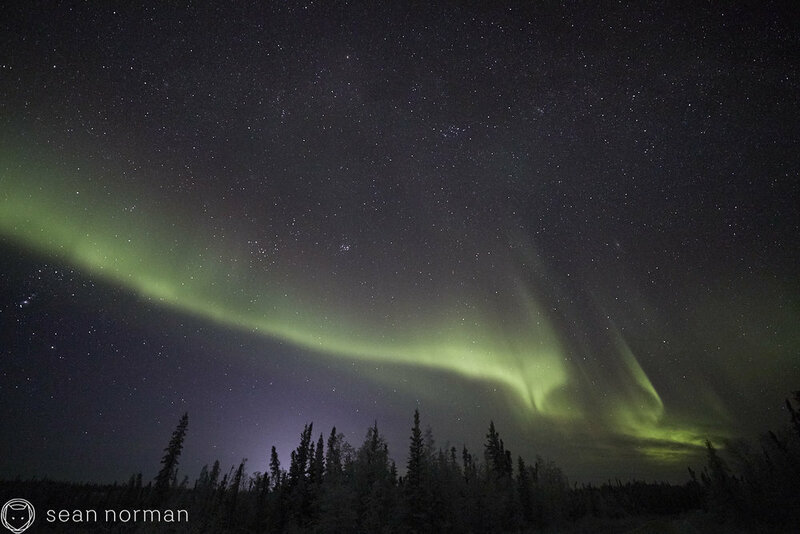 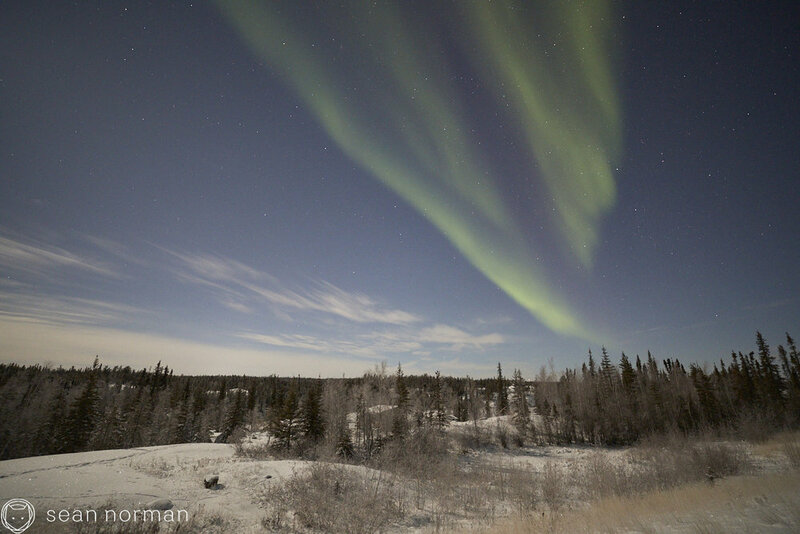 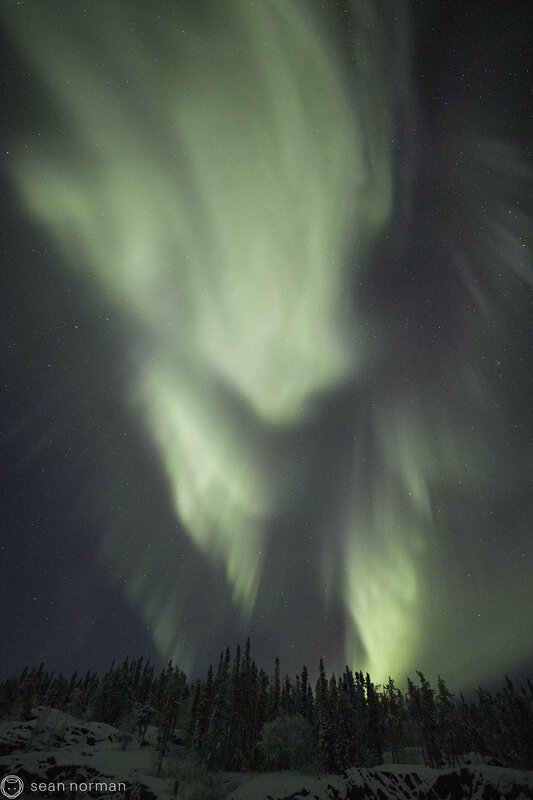 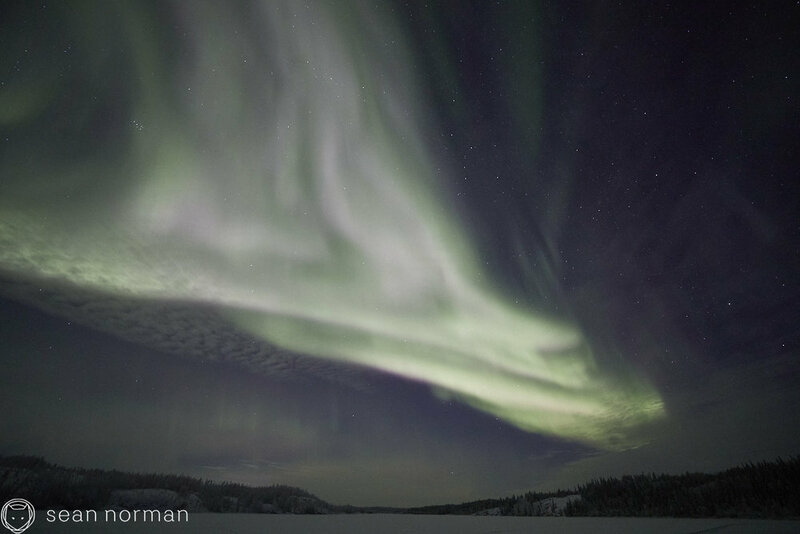 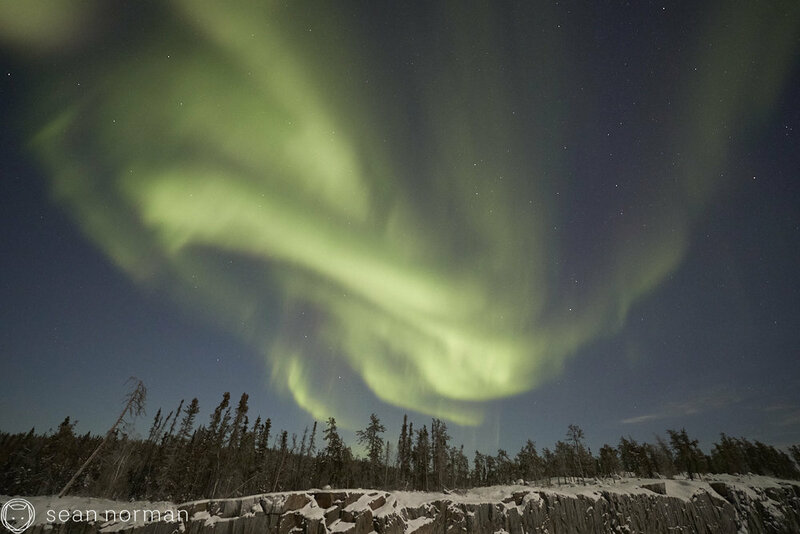 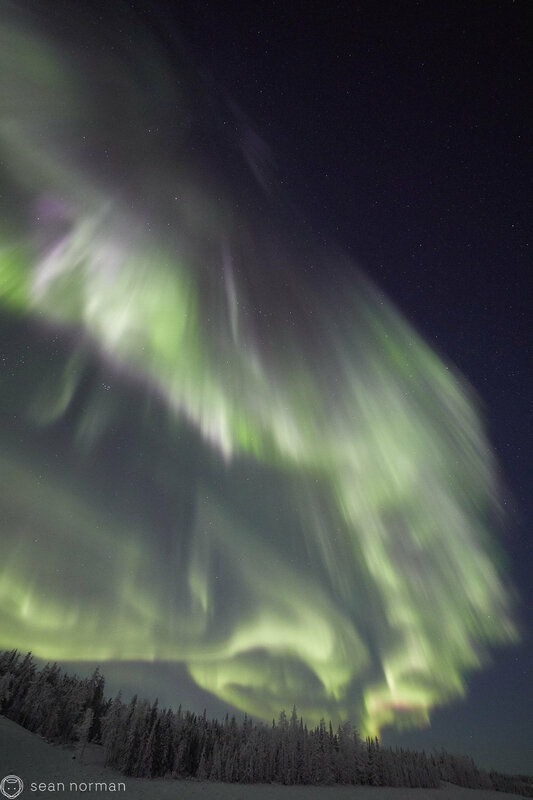 And although not as immediately spectacular as the last few nights, we kept clear skies (we had better since it was still -36) and while we mostly saw very pale greens, she still danced beautifully above our heads. 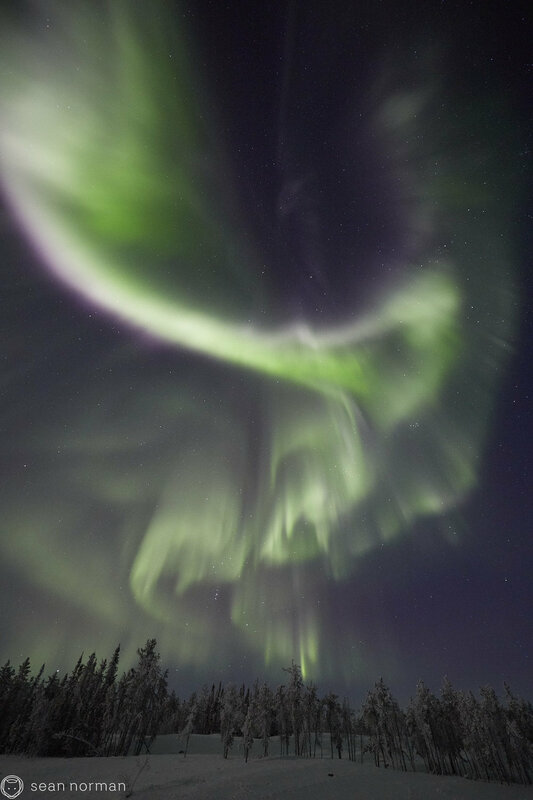 You’re tired of hearing me preach it, but after a few hours of the same words over and over, you understood why. 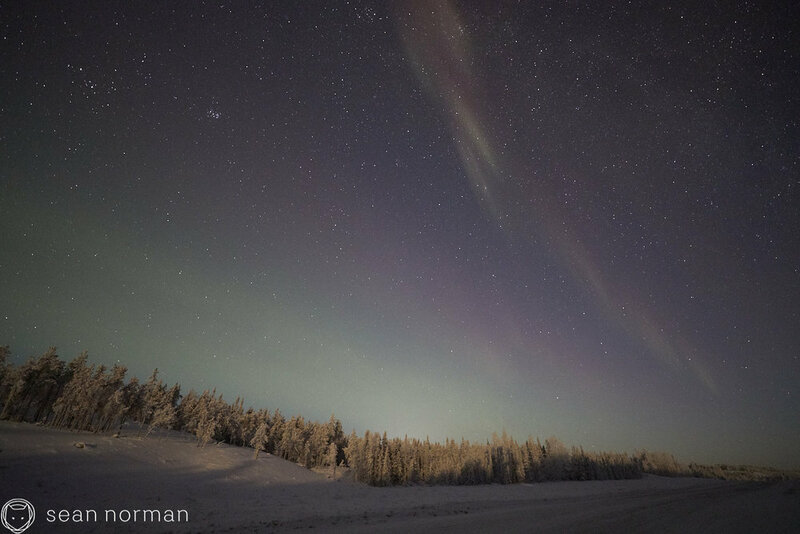 And all those pinks, all the breathtaking dancing every direction you looked - it’s why we voluntarily spend hours running between the openness of a frozen lake and the warmth, relative warmth, of the idling car. 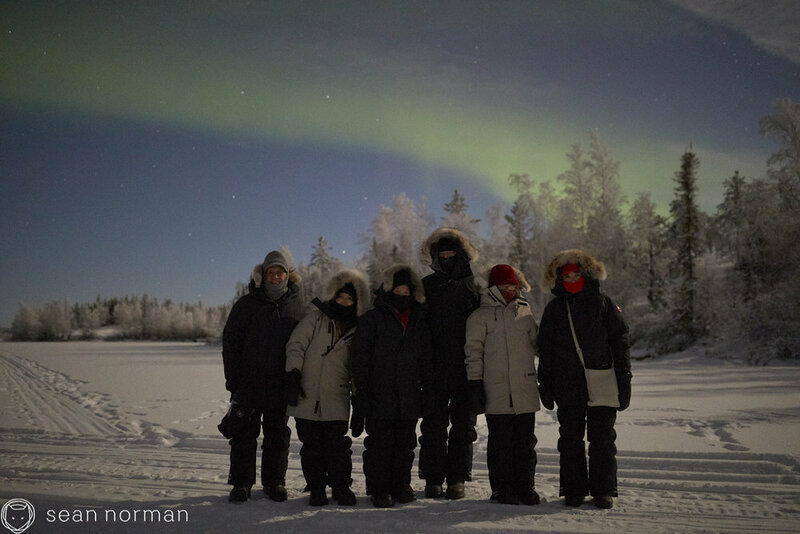 If -37° is the only way to get clear skies around here, then let’s go. 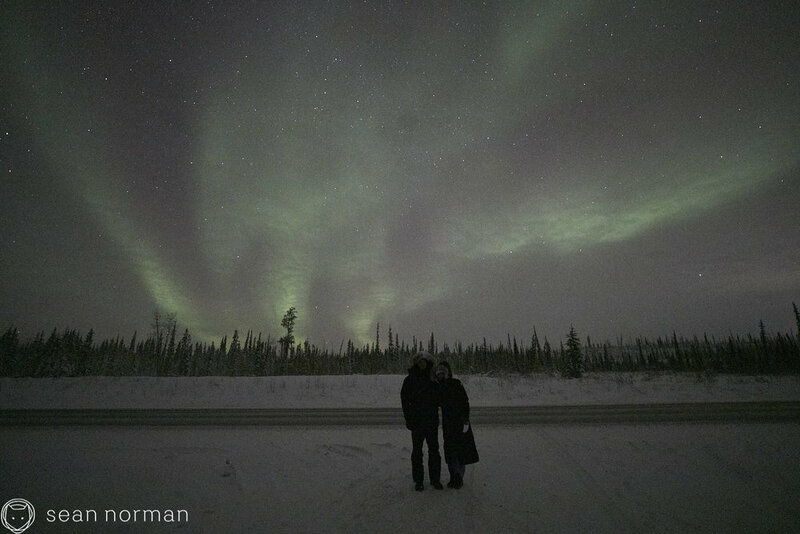 On a night with a 75% full moon, we saw greens and pinks, and she danced across the northern half of the sky. 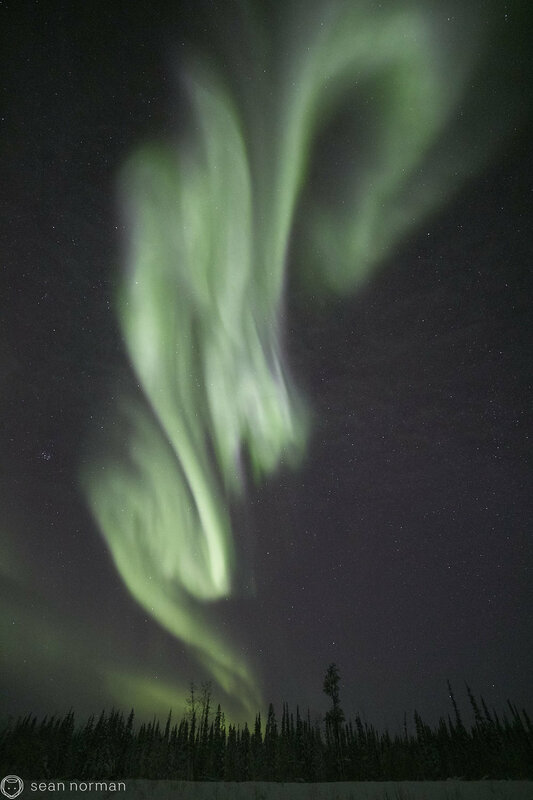 It’s so good to be back. 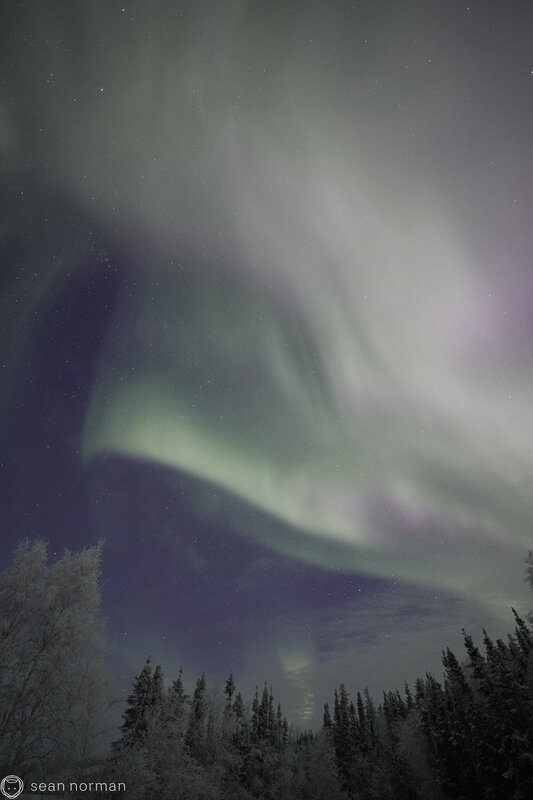 For the second time in three nights, clear skies at the end of the highway gradually disappeared over a few hours, but tonight it was not without the most aurora we've seen in easily a week first. 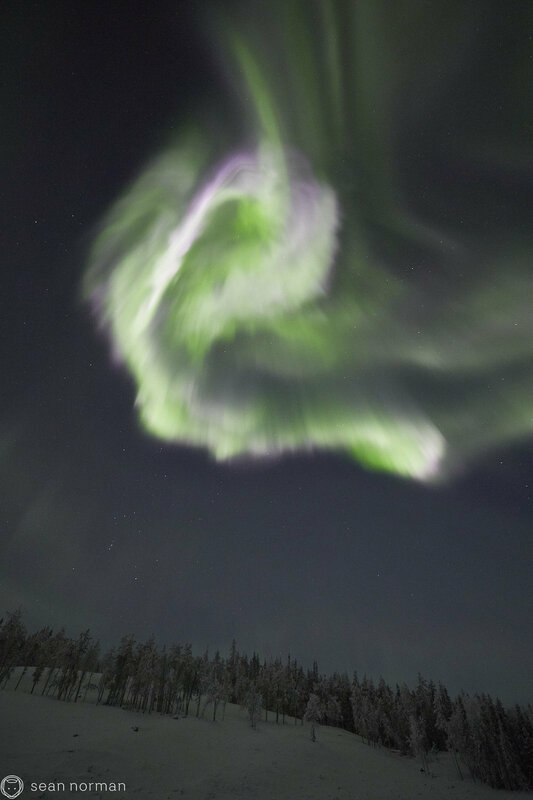 Information from two satellites gave us opposite wishes of speed. 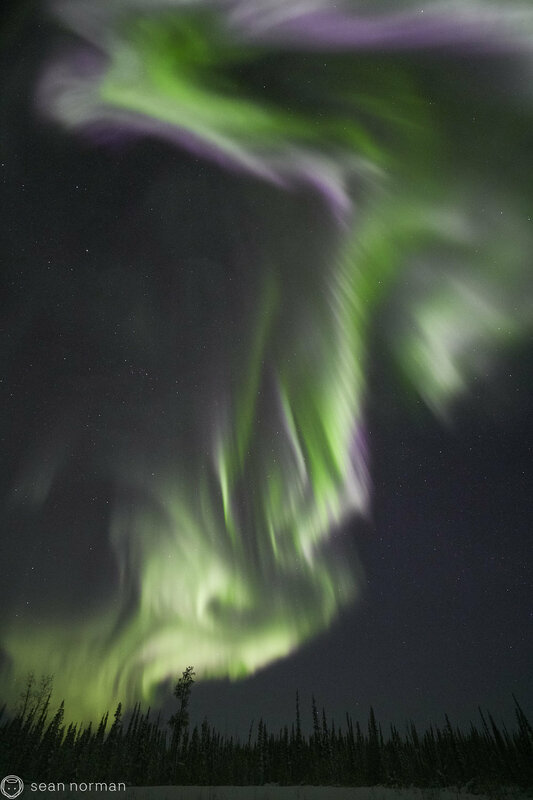 These perfect auroral conditions couldn’t actualize into the sky above us fast enough, and while we waited on the aurora, we ran further and further from a slow moving cloud bank eating up the city. 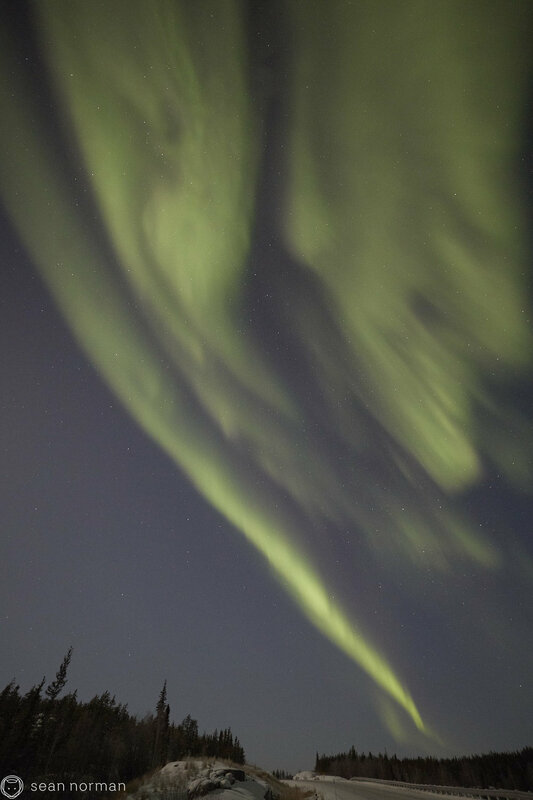 A definite success overall this time.